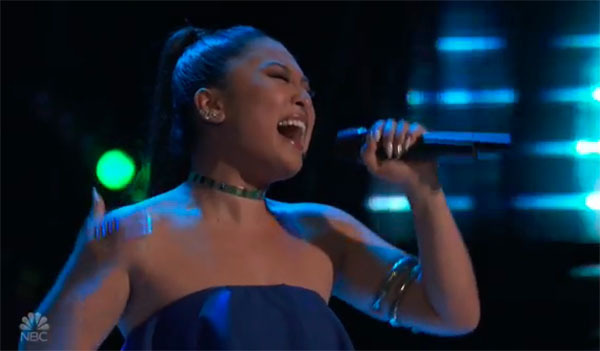 Filipino-American singer Radha sings “Mama Knows Best” on The Voice Season 15 Blind Auditions on Monday, September 24, 2018. “That beginning threw me back to may chair so far. You are a very good singer. I was so amazed by you,” said Adam Levine. “I’m just happy that a voice like yours made on the show,” said Jennifer Hudson. “You’re voice stayed on point,” said Blake Shelton. Adam blocked Jennifer Hudson. Radha picked Adam as her coach. What can you say about Radha’s performance? Share your comments and views on the discussion box below.